Approximately 50% of ER visits are associated with abdominal pain, and the vast majority of those patients are given a diagnosis of ‘abdominal pain of an unknown origin’ and directed to come back if the condition gets worse. This is little comfort to people suffering from severe discomfort who need answers around the cause of their belly pain, not just medication to mask it temporarily. Could undiagnosed celiac disease be the source of their suffering? Today, the Gluten Free RN is diving into the issue of belly pain and undiagnosed celiac disease, discussing the expensive testing often conducted to determine the cause of abdominal discomfort—testing that rarely includes a celiac panel. 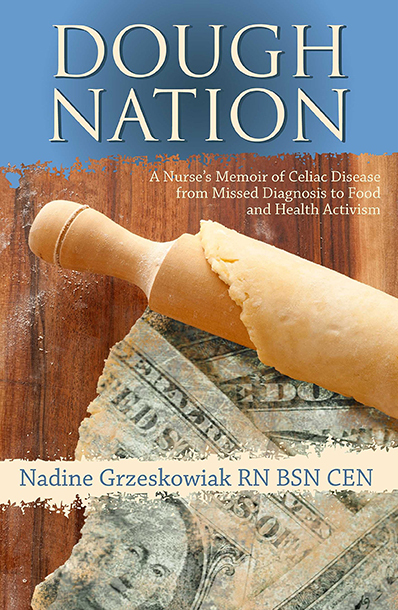 She covers several of the common misdiagnoses of celiac patients as well as the incredibly high prevalence of abdominal pain in children. Nadine shares the case study of a child-patient who was misdiagnosed with appendicitis and the research published in Digestive and Liver Disease outlining the unnecessary surgical interventions endured by undiagnosed celiac patients. Listen in for the Gluten Free RN’s advice to patients with idiopathic abdominal discomfort and learn why no one should suffer from belly pain!